At the end of this week, Rush Limbaugh will have completed his first twenty years of “having more fun than a human being should be allowed to have.” The next twenty promises to be even more fun as Conservatives gear up to deal with the possibility of America’s first true socialist President in History. Even if Providence intervenes and spares us Barack Obama, we will still be faced with the most entrenched and organized socialist movement to date. The situation in America today is hardly a laughing matter, but Rush has demonstrated the value of keeping our sense of humor even in the most difficult circumstances. We owe him our thanks for that and so much more. Through many of the past fifty years, it has been difficult to hold on to the conservative principles that have made this country great. From the great depression to the mid-eighties, liberalism was the dominate message heard in our public discourse. The media was dominated by liberalism even more than it is today. Conservatives were routinely referred to on talk shows as “reactionaries”. Yes, there were a number of talk shows before Rush, both on radio and TV. The difference was they were all liberal and not as widely listened to. Conservative voices were silenced due to the “fairness doctrine” and only the liberal message was allowed to get through. When Ronald Reagan’s administration discarded the fairness doctrine the opportunity for the expression of conservative thought opened up and Rush took advantage of it. He saw the parade of conservatism coming down the street, led by Ronald Reagan, William Buckley and others. Instead of standing on the sidelines looking on, as so many of us did, he picked up the baton, stepped in front of it and has been there ever since. The liberal left has never understood the phenomenon of Rush Limbaugh. At first, they referred to him as just an entertainer. Indeed, he was and is an entertainer, but that does not account for his unprecedented success. Rush tapped into a need and an audience that has always been there. 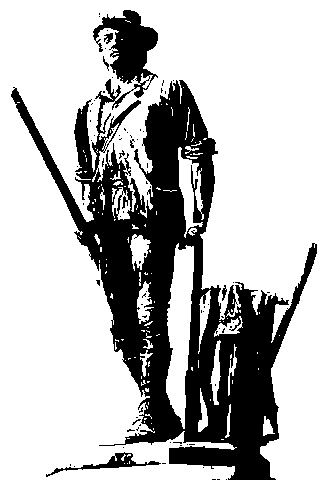 The average American has always been hard working, honest, patriotic and conservative. The influence of that segment of the population had been suppressed for the past half-century by the FCC and the fairness doctrine. When Rush—thanks to Ronald Reagan—was afforded the opportunity to come on the air, conservatives began tuning in. Here was someone who was expressing the values and beliefs they had always held but seldom heard expressed in the media. One of the biggest mistakes the left makes is when they believe Rush tells his audience what to think. Conservatives do not tune in to learn what they should think. They tune in to have what they already think validated, and Rush does that better than anyone else. By that, I do not mean to disparage the value of the Rush Limbaugh Show as a teaching tool. He jokingly tells his audience “we give you the news, and then we tell you what to think about it”. That’s only half-right. He does keep his audience informed on important matters of the day better than anyone else. They decide for themselves what to think about it, however. I was riding in my car one day with a friend while Rush was on the air. A caller asked Rush what was the one thing to which he attributed his success. Rush very seriously gave the caller a one word answer, “humility”. I though my friend was going to have a coronary he was laughing so hard. After thinking about that answer for a while, I decided Rush was probably right. Rush has a type of humility you often find in great figures of history. It’s that humility that drives them to the height of their accomplishments. Oh, I know Rush spends a good deal of time boasting about his wealth, the important people he knows, who he played golf with and so on, and sometimes it gets to be quite a bore. In fact, I confess to sometimes deliberately missing the first segment of his show just after he returns from an important event for that reason. However, I know that what seems like bragging to us is really Rush attempting to convince himself that his astronomical and continuing success is for real. My guess is that no one is more in awe of Rush’s success than himself. It’s that nagging doubt about his own importance and personal worthiness for his success that drives him to be the best-informed and best-prepared radio host on the air. Another thing I admire about Rush is his generosity and total lack of professional jealousy. Some of the top conservative voices in America owe their prominence to the encouragement and support given to them by Rush Limbaugh. Sean Hannity, Mark Levin, and the late Tony Snow, just to name three. In the coming eight years we are going to need the anchor of talk radio to keep us from losing faith. Judging by the polls, America seems to be seriously considering turning our government over to Barack Obama, Nancy Polosi, and Harry Reid. I cannot think of any three people in America more opposed to American Ideals than these three. If they are successful, there is no question the constitutional republic that has been America for the past two hundred plus years will cease to exist, to be replaced by a socialist state. The struggle between socialists and conservatives to destroy or conserve our Constitution and historical American traditions is going to require the continuation of talk radio as the voice of conservatism. That’s why we need Rush Limbaugh for at least another twenty years.